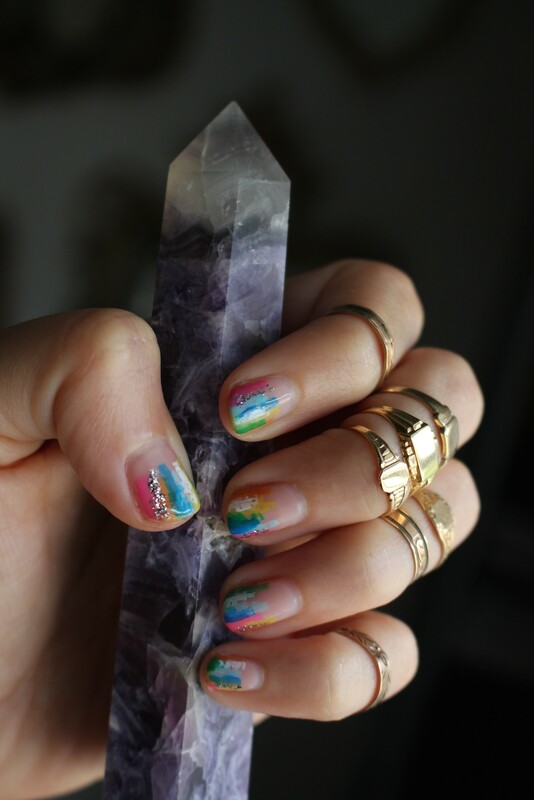 I love these roundup posts because they are like mini mood boards encapsulated in time. If I go back in this blog and find these types of posts from 2009 or 2010, I can not only feel what I was thinking or being inspired by in that moment, but I can see how far I’ve come. I think that is why I love these posts so much — do you love them too? Let me know in the comments! Earring Stack — while everyone is still into the bold earring trend, I’ve been loving super unique mini studs that have a lot of detail. When worn all together, they create a look that begs to be looked at more closely. These are my favorite personal pieces for this style, in my third hole I’m wearing Doryn Wallach Jewelry, second hole is Jennie Kwon Designs, and first hole is Lori Leven found at Love Adorned. Of course, no matter what earrings I’m wearing I always opt for my Paige Novick ear cuff because it is so comfortable and looks good with everything. Office Party — my office got a little upgrade thanks to my friend and photographer Lauren Newman. She gifted me this mineral specimen print of an old lithograph. I love how it is framed with pieces of wood and hangs by some jute. It is the perfect addition to an empty door! 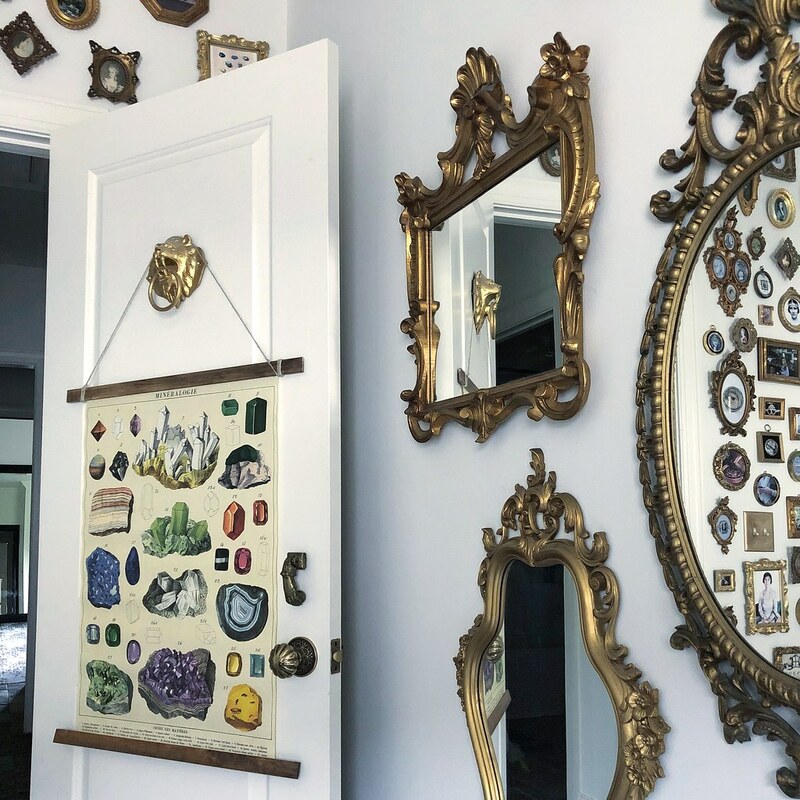 New Charm — on my travels to Maine I visited a store in downtown Portland called Folia, where owner and designer Edith Armstrong features her work amongst a few other designers. I fell in love with her “Open Air Frame” collection and bought the turquoise bead version. It makes the perfect addition to my growing charm collection! 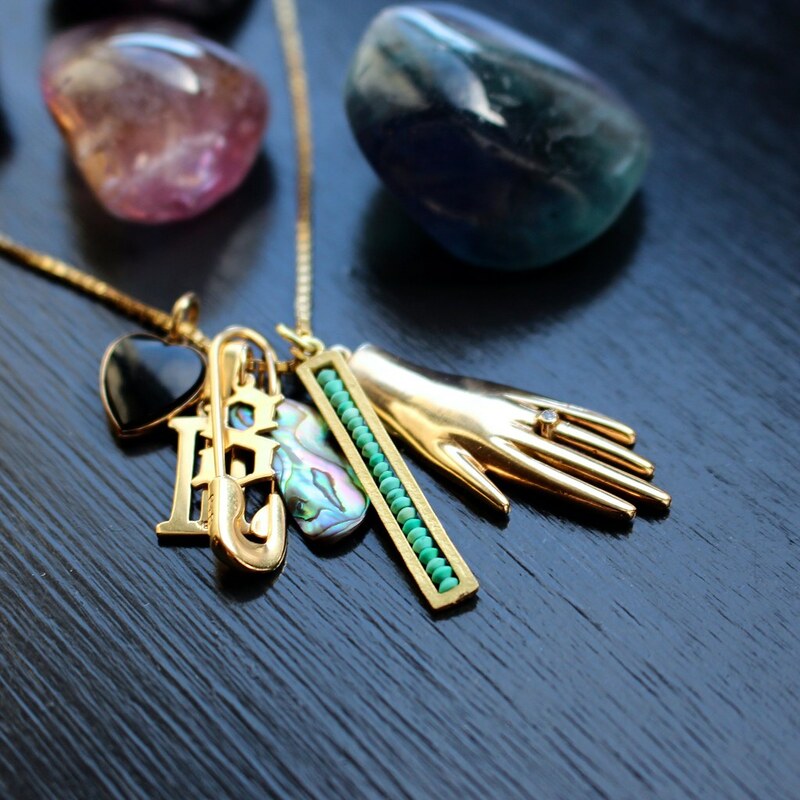 Gemstone Pendants — speaking of growing charm collection, I’ve added some bold gemstone pendants to my tribe. 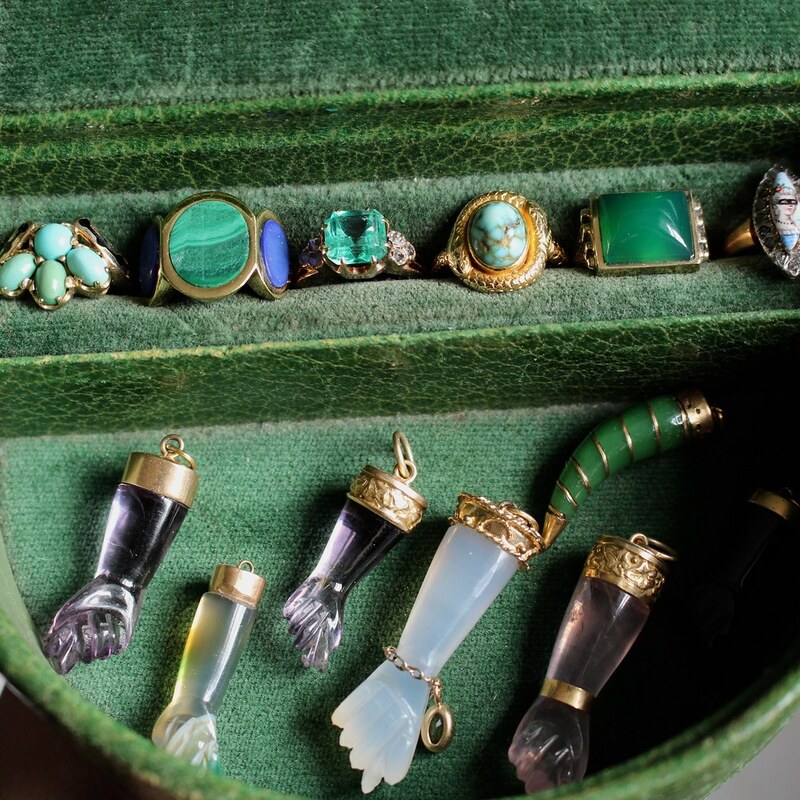 The malachite inlay piece was found on the Alana Jewelry website, which I was browsing in between flights. As soon as we landed, I called and purchased it! 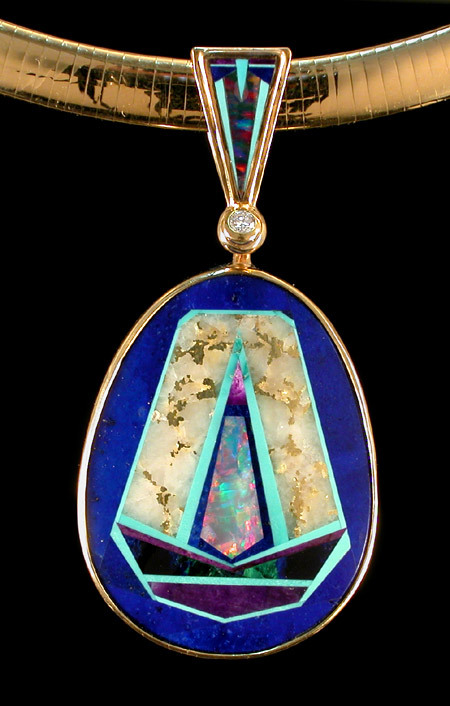 I also got lucky and won a bid I left at auction for this unique lapis and opal inlay pendant. The other newbie in the crowd is the big banded agate pendant that was gifted to me from Always Aleda…love this piece as I’ve been wearing it on a long, heavy box chain. Baby Rings — I’ve been continually culling my baby ring collection as I’ve amassed quite a lot. Baby rings are one of my favorite things to “finish off” a ring stack and if they don’t fit right, they won’t work! So I’ve been selling a lot lately. I still have a bunch for sale, so if you’re interested in buying some for yourself, email or DM me and ask to see what I have available. 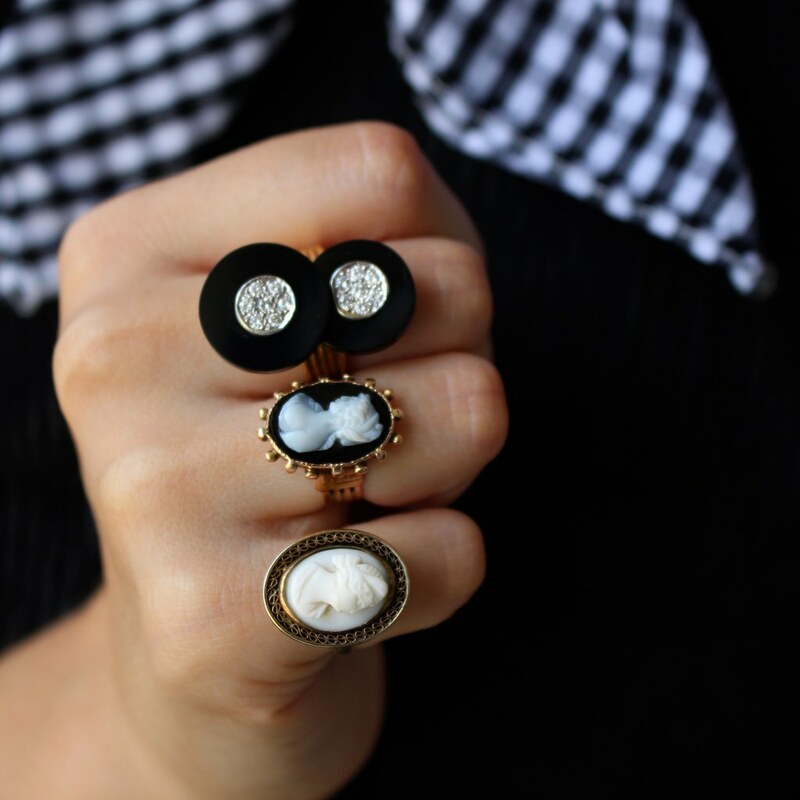 Cameo Craze — I still love a good cameo and I think they will be back in a big way this fall. My mind keeps going back to an old inspiration board that I posted on here several years ago with Kanye West wearing a large oval sardonyx cameo. It looked so cool. 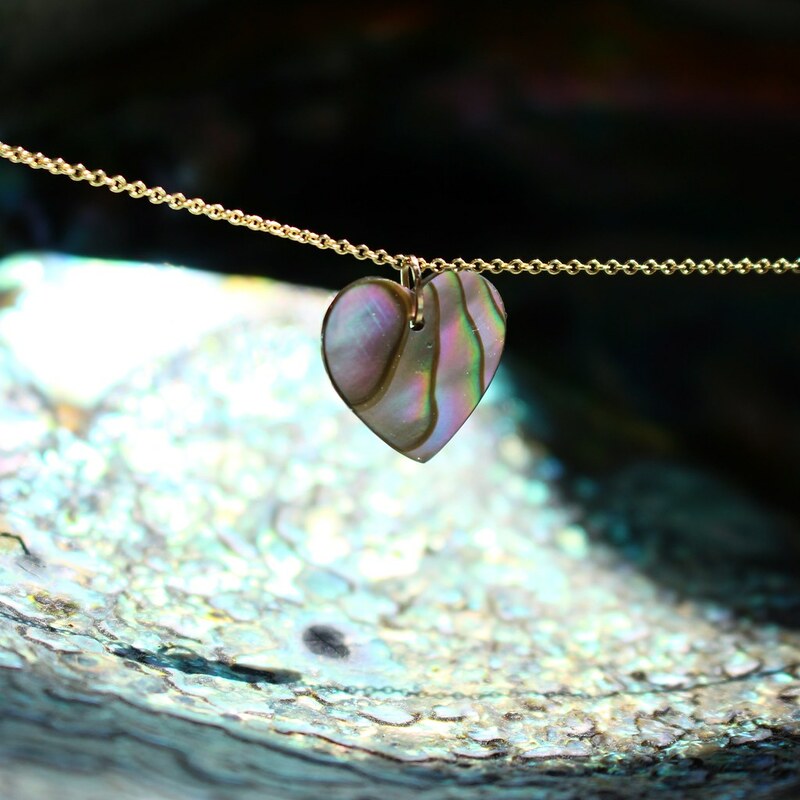 Mother of Pearl Heart — this little heart charm has brought me more joy than you can imagine! And for only $44?! It is from Catbird and features a mother of pearl heart (each one is different because of the patterns in mother of pearl) and a 14k yellow gold jumpring. I added this to my heart charm collection and I’m thinking of ordering more! 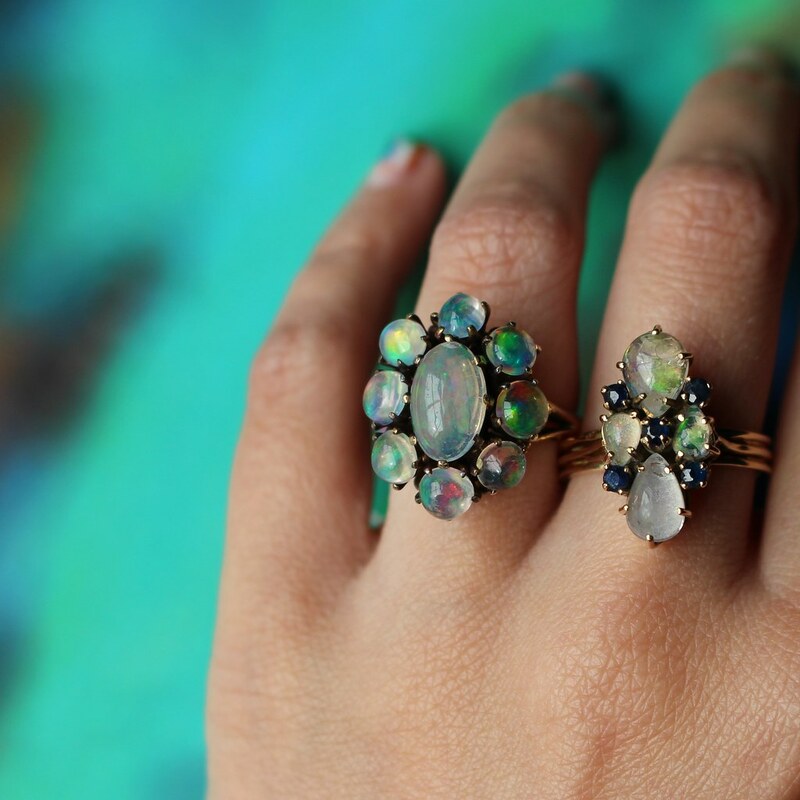 Jelly Opals — I don’t think you’re ready for this jelly…and neither am I! I don’t know why, but I have a thing for jelly opals. I’ve been in love with the bold cluster ring I bought a few years ago and never managed to find another jelly opal ring that I liked until a few weeks ago. The new one, on the right, is from Vintage Gems NH. Nicolai Medvedev — my inlay pendant I bought recently sparked some conversation on Instagram about it possibly being by inlay artist Nicolai Medvedev. I of course instantly Googled him and his work and was blown away. 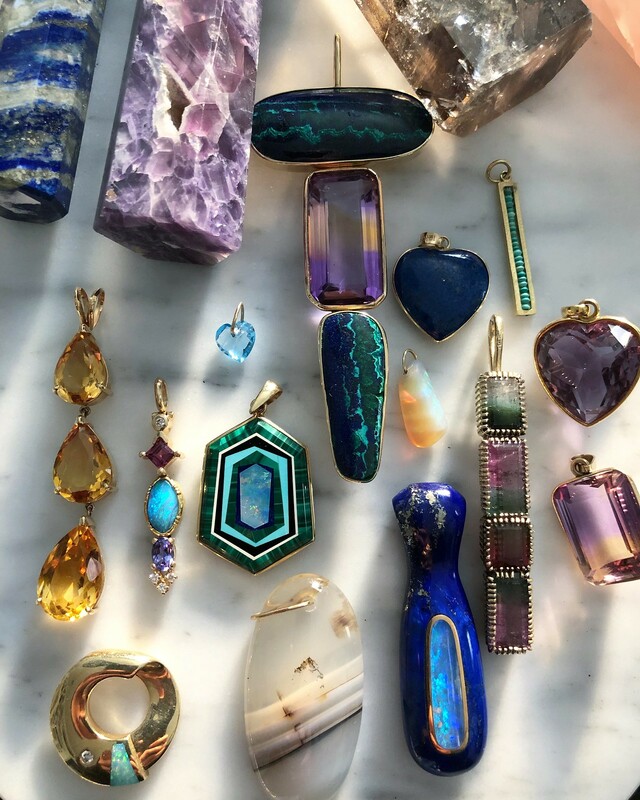 I love every piece and especially think it is because of the main gemstones he uses, all are my complete favorites: lapis lazuli, gold in quartz, rhodochrosite, azurite, malachite, sugilite, and opal. My new life goal is to meet him someday! Want more? See more of my obsessions!